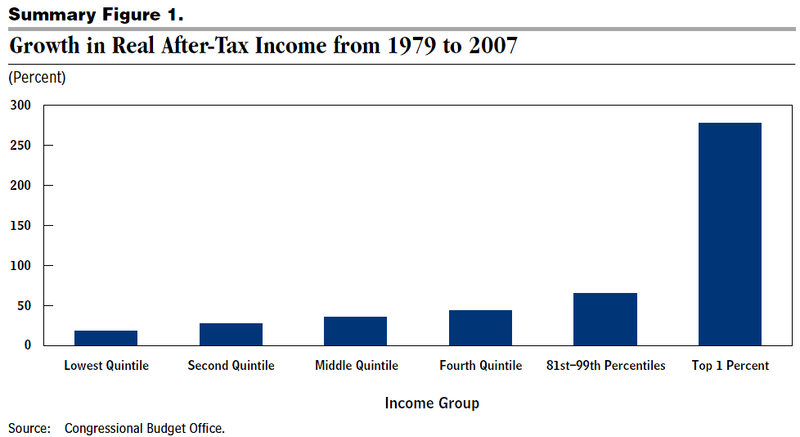 For the 1 percent of the population with the highest income, average real after-tax household income grew by 275 percent between 1979 and 2007 (see Summary Figure 1). As a result of that uneven income growth, the distribution of after-tax household income in the United States was substantially more unequal in 2007 than in 1979: The share of income accruing to higher-income households increased, whereas the share accruing to other households declined. 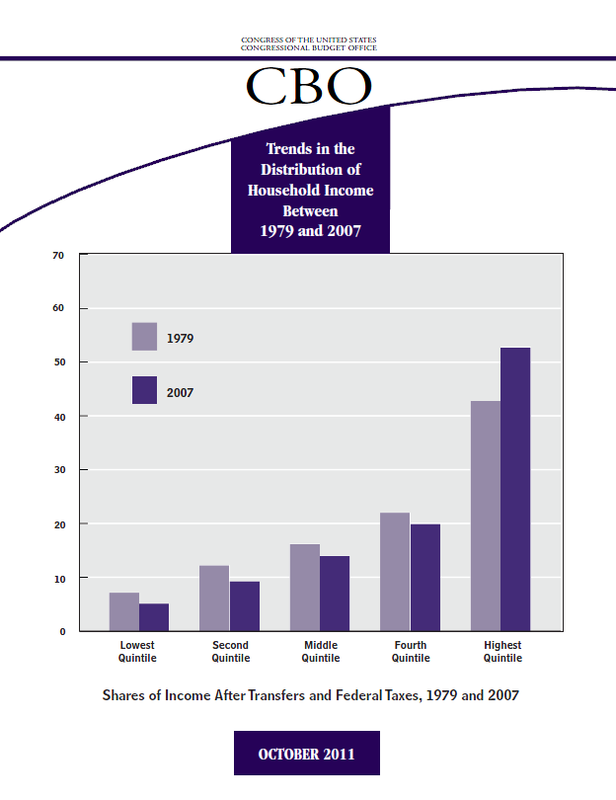 In fact, between 2005 and 2007, the after-tax income received by the 20 percent of the population with the highest income exceeded the aftertax income of the remaining 80 percent. To assess trends in the distribution of household income, the Congressional Budget Office (CBO) examined the span from 1979 to 2007 because those endpoints allow comparisons between periods of similar overall economic activity (they were both years before recessions). The growth in average income for different groups over the 1979–2007 period reflects a comparison of average income for those groups at different points in time; it does not reflect the experience of particular households. Individual households may have moved up or down the income scale if their income rose or fell more than the average for their initial group. Thus, the population with income in the lowest 20 percent in 2007 was not necessarily the same as the population in that category in 1979.